← the vintage apron giveaway! 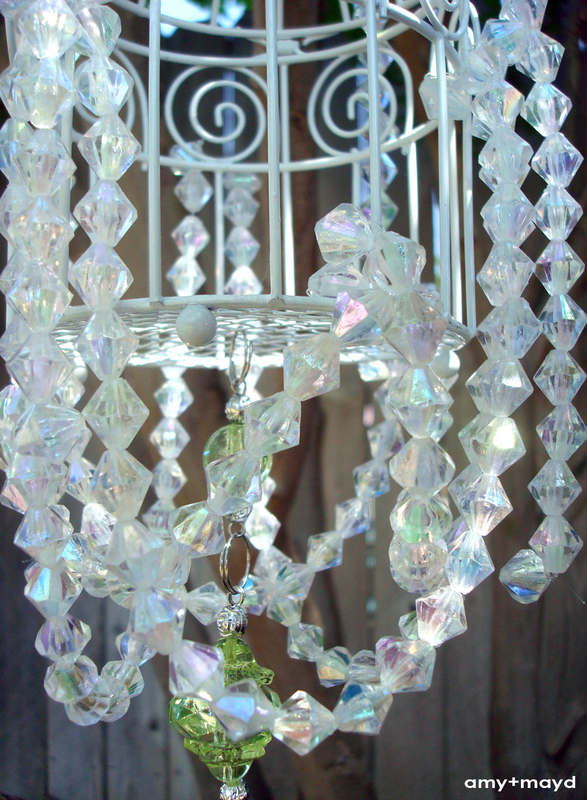 I love chandelier’s and just randomly began putting my own together yesterday. 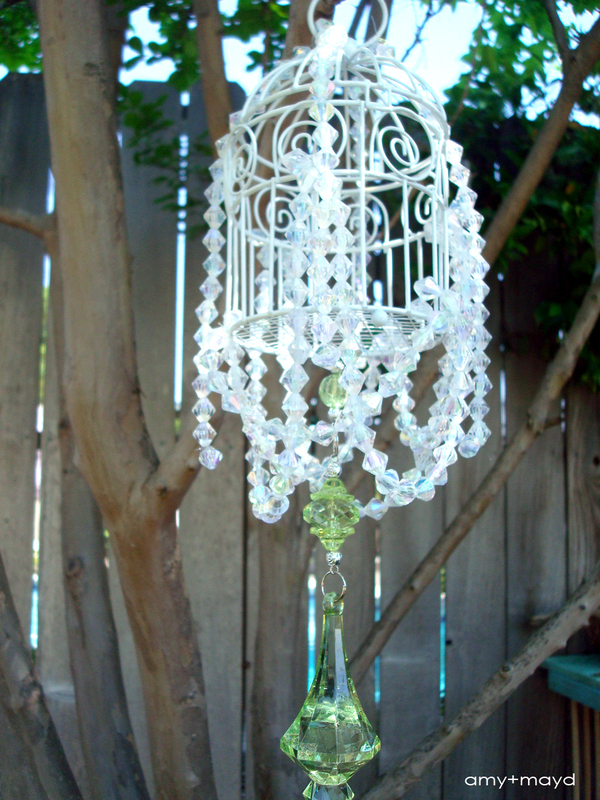 My sister found these mini birdcage’s at Michaels that she used as decor for my sprinkle this last weekend and my daughter has had a lot of fun this week playing with them when it struck me.. these would make perfect mini chandeliers for over her outdoor tea party area! 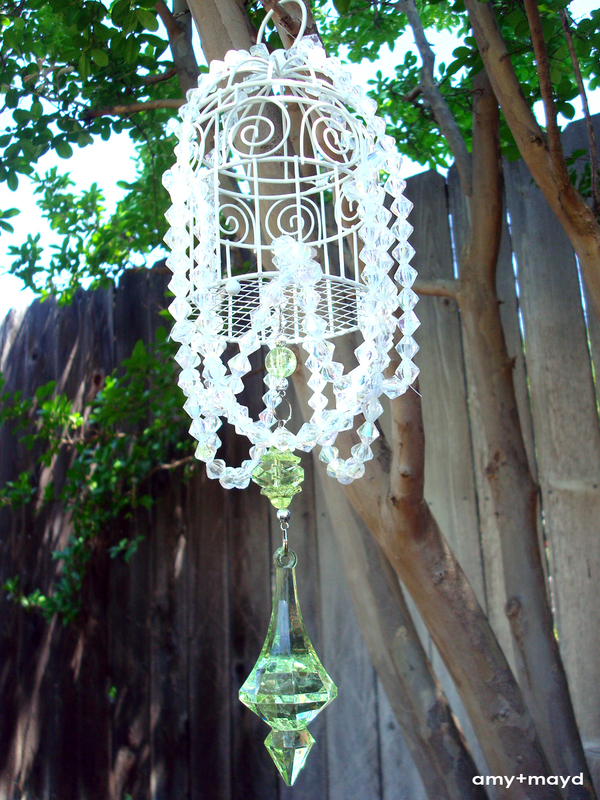 They would work well as outdoor party decoration in general or in the nursery but I thought it would be cute to make her little outdoor area even more imaginative. 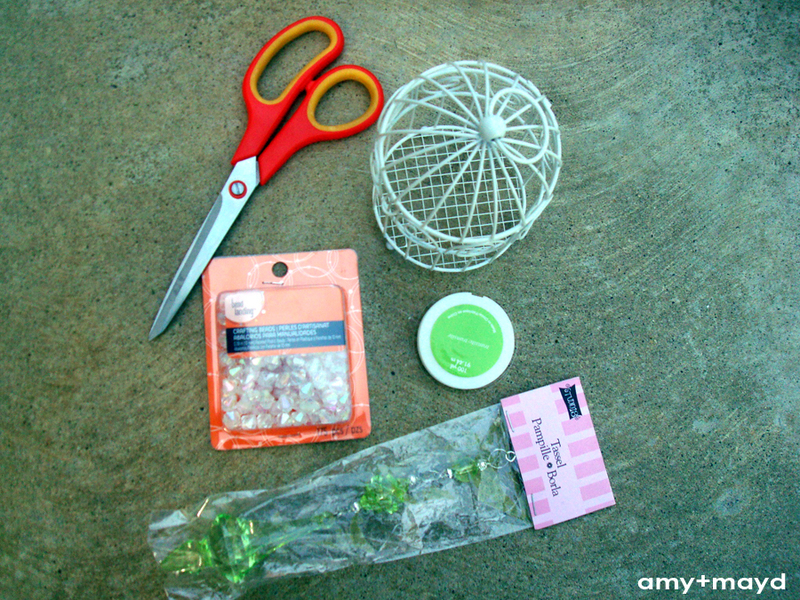 1. simply attach the tassel to the center of the bottom of the mini birdcage. I attached it like threading a key on a keychain. 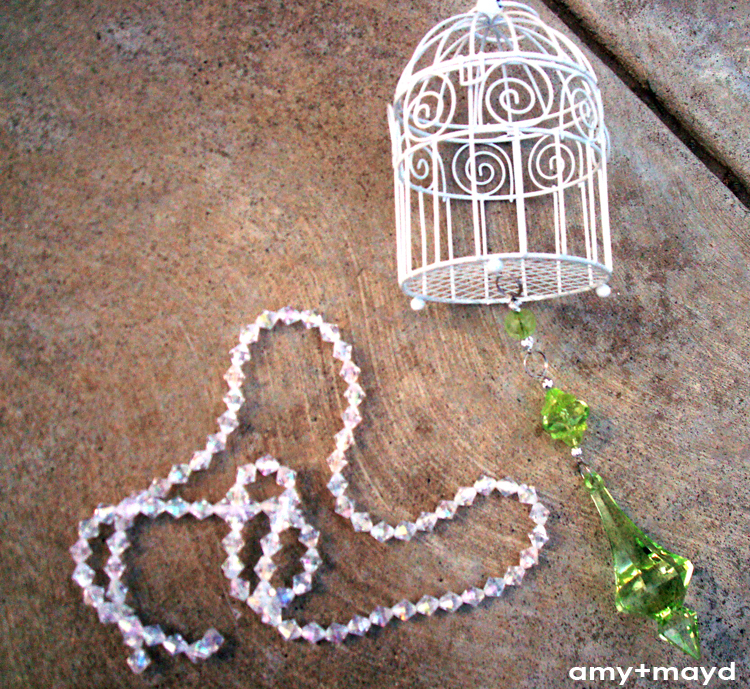 Leave room on both ends to attach the beaded sections to the birdcage. 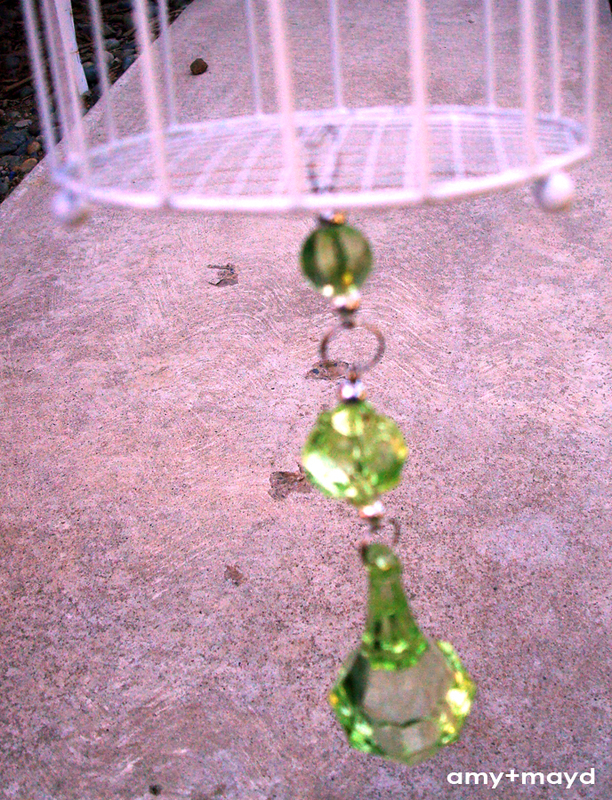 3. attach the (3) 1 foot sections in a draping fashion around the birdcage near the top. 4. attach the (3) 7″ sections in the same way on the bottom rim of the birdcage, making sure that they are draping inside of the 1 foot sections. 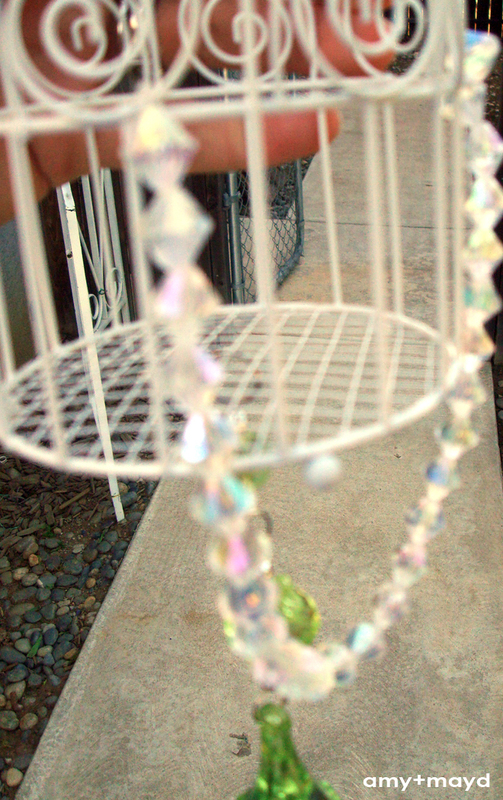 5. lastly, I attached the (4) 6″ sections to the very top of the birdcage and let them just hang. With all of the beaded sections, I tried to create secure knots at each edge and I tried to make a symmetrical pattern. What do you think? I am really happy with this project and I know Gemma will love her more “formal” tea parties.. haha! If you need help please don’t hesitate to contact me! 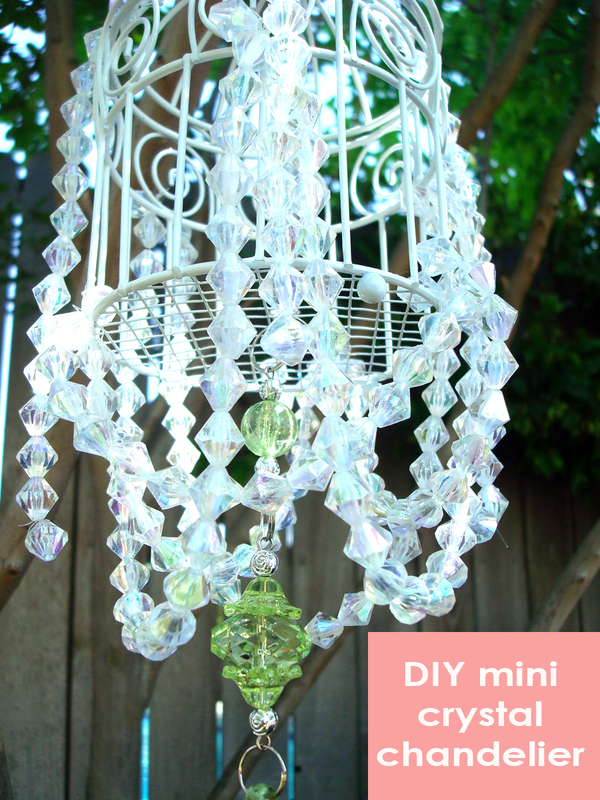 For more DIY projects check my make page.